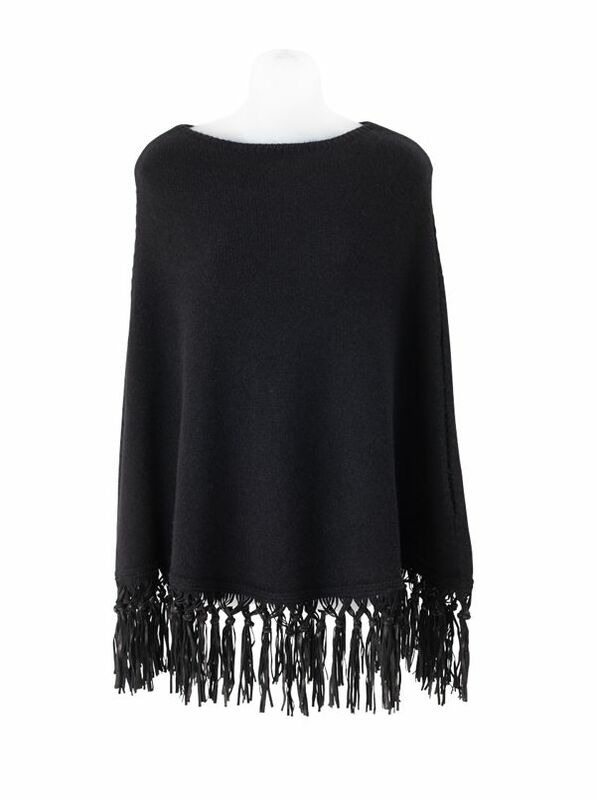 Suede Fringed Cashmere Poncho from Italy, for a little push of panache. 100% cashmere with hand-tied suede fringe. Natural. One size.